This article provides details on how to set the primary domain for your Media Temple servers. How do I add a domain or subdomain to my server? Sign in to your Account Center. 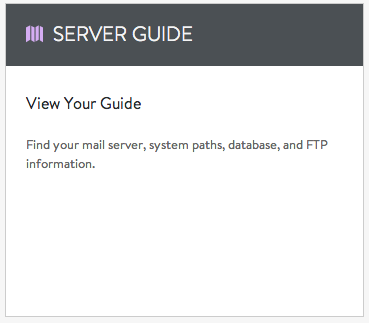 The next screen is your Grid Control Panel, click View Your Guide in the Server Guide panel. Under the Domains section, click the Change button. The next screen has your alternate domains listed. 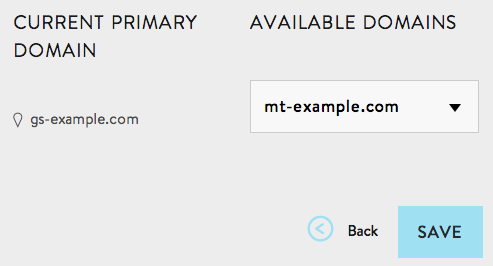 From the drop-down menu, select your new primary domain, then click the Save button. 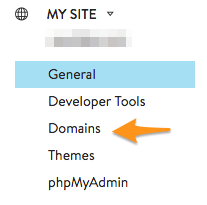 On your Account Center Overview page, your primary domain has been changed. 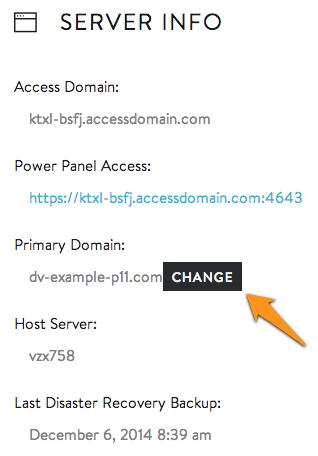 Currently, DV server customers can simply change the primary domain via the Account Center. Changing the primary domain will also change the hostname for the server. However, it will NOT change the hostname in Plesk, so you will want to change as well. It is also recommended that you change the Reverse DNS to match. Last but not least, you will want to perform a reboot. Sign in to the Account Center. 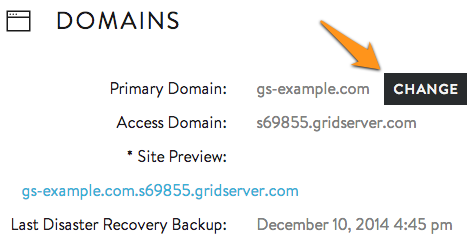 Select the Admin button for the DV server, or choose the current primary domain for the server via the Domains tab. Select View Your Guide in the Server Guide panel. Select Change for primary domain. Provide the new primary domain you wish to use and click Save. Currently, (ve) Server customers can simply change the primary domain via the Account Center. Changing the primary domain will also change the hostname for the server. It is also recommended that you change the Reverse DNS to match. Last but not least, you will want to perform a reboot. Select the admin button for the (ve) Server, or choose the current primary domain for the server via the domains tab. Enter the new primary domain you wish to use and click Save. 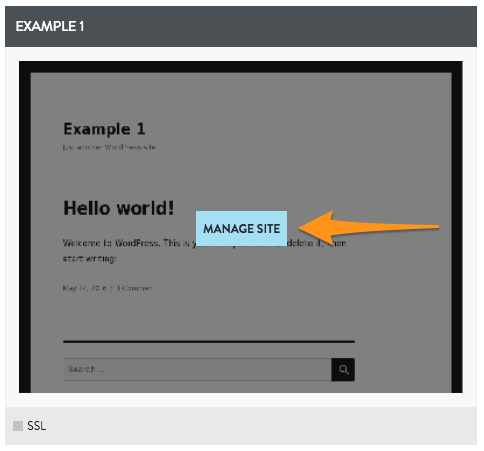 Use these instructions to change the primary domain for your Managed WordPress service. You must have at least one alternate domain already added to your Managed WordPress service to be able to change your primary domain. For more information on adding a domain to your Managed WordPress, please see: How do I add a domain or subdomain to my server? Select your WordPress service from the services list. Click on manage site. This is found by clicking on the preview box of one of your sites. From the My Site menu on the left, click on Domains. Add a new domain if needed. Use the drop down menu on the right to select a different primary domain.